It’s not exactly news that Apple is keen to capitalize on the extensive Chinese mobile market when it launches its upcoming iPhone 5 device. In the latest bulletin of Apple’s quest to dominate China, the country’s third-largest carrier, China Telecom, has put the wheels in motion for a quarter-billion dollar “Dragon Plan” promotion and ad campaign in anticipation for an October release. 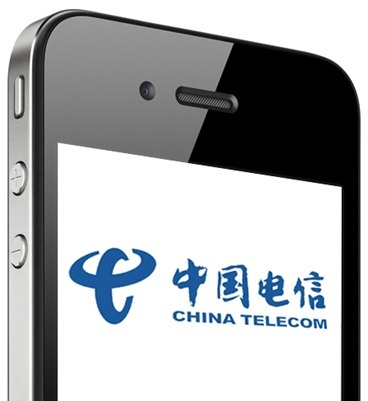 China Telecom (0728.HK) has instructed some of its provincial branches to begin preparations for the sales of the iPhone 5, including conducting staff training, and the operator will accept orders for the phone at the earliest at end September, reports Southern Metropolis Daily, citing a company insider. According to the report, a LED screen at the Changan Road branch of China Telecom had started advertising the forthcoming debut of the iPhone 5. Obviously advertising would be a lot easier with some official images of the end product were to surface, although those who’ve been keeping up with our coverage here at RedmondPie will know of the almost certain key changes and improvements. We are pretty sure there’ll be a larger screen, thinner, shorter and slightly wider design as well as a manipulated home button. The Vodafone screenshots revealed over the weekend also seem to have quashed any hope of a 64GB or larger device, despite the prototype leaks of a 64GB iPhone 4. With iCloud being groomed as an integral part of just about everything “i”, it seems as though those requiring extra space will have to make do with storing files through the cloud infrastructure. Foxconn is taking care of production as usual, and is thought to be cooking up 150,000 units per day at present. If these reports of Apple’s Chinese expansion reach fruition, such high-quantity progress will need to be maintained and maybe even increased in order to avoid demand eclipsing supply – as has been the case in years passed. iOS 5, Apple’s latest and greatest mobile operating system has accumulated a seemingly endless number of beta releases, but with everything now thought to be nearing completion with the eighth and final beta rumored to drop this Friday, all fingers, including that of Orange Chief Stéphane Richard, point to a mid-October release – so only one month left to wait.